There are around 1.37 Millions of applications in Google play store, downloaded by billions of Android users everyday, and some of them designed for specific version's of android, which were incompatible for some version's of android device. But incompatibility is not the only thing that pesters each time while downloading an app from Google play store. You may have a GB or TB of internal/external storage available as free space on your android device SD card, but still sometime it prompts "Insufficient Storage Available" while updating and downloading an app from Google play store. 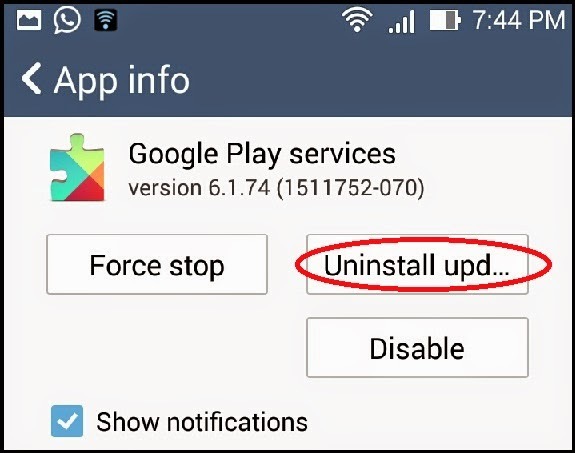 3 Methods to Fix Google Play Store Download Error "Insufficient Storage Available On your Device"
Are you frustrated while downloading your favorite app from android market place due to "Insufficient Storage Available" Error, then you are at the right place to fix this error and start downloading favorite app at ease. Every apps saves loads of junk files temporarily, that could sometime overlap the internal memory usage, and because of this, your device may prompt error message while downloading and updating apps from Google playstore. We highly recommend you to install "Clean Master" app to clear future cache error's, caused by hog of memory and to increase the performance and speed of your mobile device. 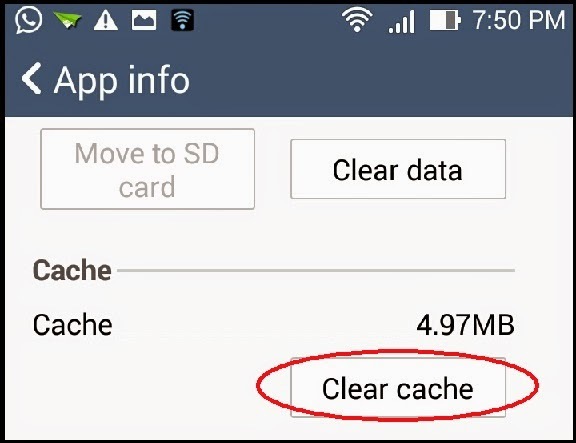 Don't search for apps randomly or sequentially one by one to clear cache files, clear all cache error's at once with clean master app for android. 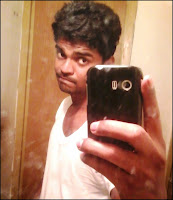 Download Link: " Click Here to Download and install Clean Master for Android "
1. Cleans Junk Files to free storage space and boost speed/performance of your device and SD card. 2. Calculate the CPU usage of an app on your device and stop apps that slowing down your device. 3. Scan amd Protect your device from spyware, virus, trojans, malware, adware etc with antivirus utility. 4. Smooth UI and cool transition effects that lets super fast user access. 5. Find and stop apps that cause device to overheat. 6. Uninstall unwanted apps with APP MANAGER and create backup of apps. Most probably clearing cache of each application will make your future download and upload possible, but in some cases it may not, in such cases just uninstall the google play service updates. 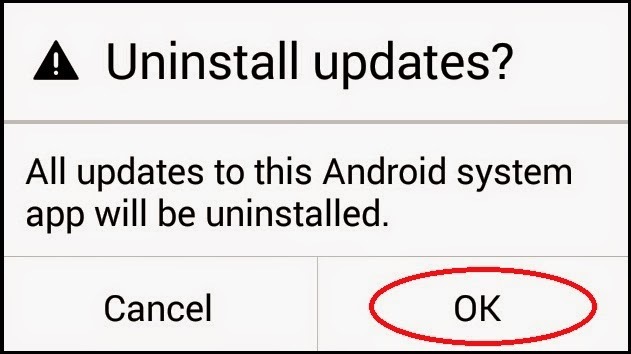 Note : Uninstalling Google play service update will remove all updates to your android system app. Once updates removed you have to resign with your google account again. Search for "Google Play Service" and tap into it. 3. 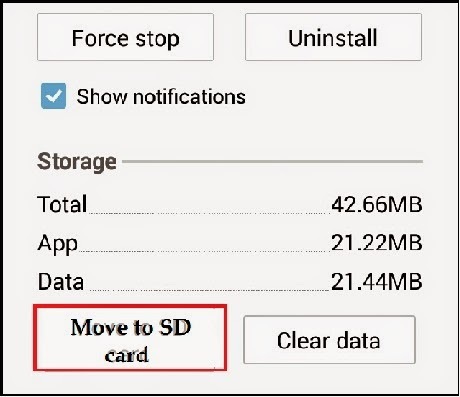 Move Data from Internal Storage to SD card. By default every apps downloaded and installed in your phone memory, but when there is no more memory left for any new apps (or) to download updates for existing apps, you will a see a message prompting "Insufficient storage space". You can also use "Clean Master" android app described above to move all apps to SD card at the same time, that free some space on your internal memory hogged by apps. If you are a samsung mobile users, here's a very simple solution that works on almost every samsung device running android. SysDump window opens on the screen, click on the button labelled "Delete dumpstate/logcat". With this way you can restore maximum free space on your samsung device, it actually removes the log files in /data/log. See Also: How to use "Whatsapp" on PC/Laptop Computer without smartphone/tablet. Note: This method doesn't works on rooted device with activated CyanogenMod, and since phones with customROM's doesn't have stock dialer, it cannot run the sysdump window.